The word “nip” in its noun form means a “taste” or “swallow”. 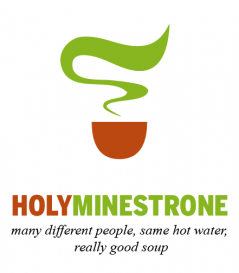 I had to come up with a word that complimented minestrone, you know what I mean? I hope you can digest my weak and enigmatic sense of creativity. So, with that out of the way, I enjoy reading the writings of Lesslie Newbigin. If you haven’t heard of him before, he was a missionary-theologian from Britain to India during the mid-1900’s. Lesslie passed away in South London at the age of 88 in 1998 but left behind a plethora of insights on the church and mission. This is the first of five quotes that Lesslie wrote about evangelism and the thinking of the “re-evangelization” of Europe. I think these nips would apply to any secularized, Western culture. They’re quite good and I wanted to share them here on HM. Evangelism is not the effort of Christians to increase the size and importance of the Church. It is sharing the good news that God reigns — good news for those who believe, bad news for those who reject. Evanglism must be rescued from a Pelagian anxiety, as though we were responsible for converting the world. God reigns and his reign is revealed and effective in the incarnation, ministry, death, and resurrection of Jesus. As we grow into a deeper understanding of this fact, as we learn more and more to live by the other story, we become more confident in sharing this reality with those who have not yet seen it. To nuance more of what Newbigin is saying, living by the other story is really understanding the active reality of the Gospel story in everything we do. The Gospel is the living word, daily impressing itself upon us, and the very light by which we see, interpret, and respond to our world. The more deeply we submerge ourselves into it, the more confidence we’ll have revealing it. I liked that line about a Pelagian anxiety. I was taught to live in that panic at one time. What I realized through living the other story was that you don’t have to sell the Gospel, you just have to say it. ← More Shared Life or Shared Meetings?